Butler House is ultimately a bespoke wedding venue in Kilkenny, we can adapt our weddings to suit you whether you have five guests or fifty, and we will tailor our packages to suit your needs. We have created truly unique weddings in the past, including barefoot humanist ceremonies in the lawn, evening and weekend civil ceremonies for as little as four guests to a banquet for 60 guests, and the house and garden are the perfect backdrop for your wedding photography. 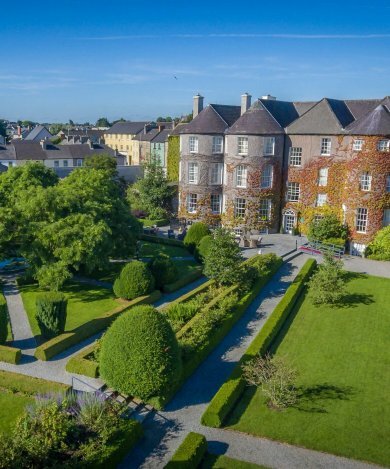 Here at Butler House you have a choice of three magnificent rooms, with plasterwork ceilings and large bow windows overlooking our Georgian Walled Garden and Kilkenny Castle. 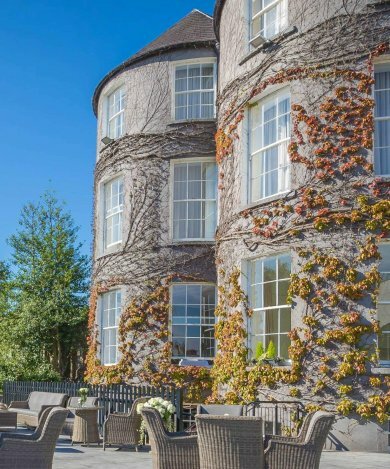 Our rooms are adorned with artwork from the prestigious Basil Goulding Collection, and the house itself is steeped in history, as it is the former Dower House of Kilkenny Castle, and is located on the castle's original grounds. We also offer exclusive use of the entire property for 24 hours, including accommodation and a 'second day event' such as Afternoon Tea, or a BBQ in our beautiful Garden. Call us on 056 7722828, or email info@butler.ie to arrange a meeting with a wedding coordinator, who would love to talk to you about how we can help to create your perfect day!